We are returning once again to the New Bern Riverfront Convention Center which is located on the waterfront of the Neuse and Trent Rivers, adjacent to the downtown and historic district. New Bern is a small and friendly town that is the second oldest city in North Carolina, as well as the home of the first capital of the state. The history of the area contrasts with the modern New Bern Riverfront Convention Center which features a spacious ballroom for our rehearsals, meal, reception and concert. There are restaurants and shops within a four-block walk. All first time registrants must be accepted to attend. 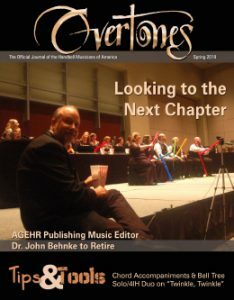 The acceptance process includes submission of an attendee information sheet, as well as two recommendations from ringing or directing colleagues. Distinctly Bronze is an event for experienced, capable handbell musicians who can prepare on their own, are seeking to increase their musicianship, perhaps ring repertoire that is not an option at home, and will give full attention and effort to the closing concert. There are a limited number of positions available at Distinctly Bronze and they fill quickly, so register early! For complete details on the registration process for first-time and returning attendees, see the section on Registration. NOTE: Registration opens Monday, March 30, 2015, at 12:00 PM EDT. Until that time, none of the links to registration forms listed below will be active. The registration fee for this year’s event is $330.00. All registrants must have their own membership in Handbell Musicians of America or be the primary contact on a group membership. In addition to working with conductor Beth Judd, your registration fee includes two meals (dinner Thursday and lunch Sunday), a Distinctly Bronze polo shirt, and a CD recording of the final concert. You also have the opportunity to ring with talented colleagues and network with other friendly Handbell Musicians of America members. Additional meals, polo shirts or CDs can be ordered by completing the appropriate line on the Registration Form. Ringing assignments are based on your response to the Assignment Preferences online survey. Ringing assignments will NOT be confirmed until ALL required forms and full payment have been received. Priority in ringing assignment preference will be partly based on the date/time when all forms required for your registration have been received. See a complete list of required forms by clicking the Required Forms link below. Your status and the expiration date of that status were indicated in the communication (letter or e-mail) you received after the last Distinctly Bronze event you completed. There are three categories. Visit the section on Evaluation for a complete description of each category and the process used. If you don’t know your status, contact event chair, Sheryl Cory. 1 – Log in to your member account and complete the online event registration by following the registration link on the login welcome page. You have the option of paying either a $100 deposit or the full registration fee. If you do not have your own Handbell Musicians of America membership, join here or call the national office (937-438-0085) for assistance. 2 – Submit your ringing preferences via one of the following on-line options: Sub Bass Positions (below C4) OR Positions 1 through 11 (C4-C8). The closing date for the first placement group is June 1, 2015. 3 – If your alumni status has expired, also complete this Alumni Re-Apply Form. 1 – Log in to your Guild member account and register for the event on-line. You will see the link to registration on your login welcome screen. 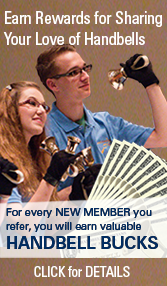 If you do not have your own membership in Handbell Musicians of America, you may join here or call the national office (937-438-0085) for assistance. You can opt to pay just a $100 deposit or the full registration. Your deposit/registration fee will be returned if you are not accepted. 2 – Complete and submit the on-line First-time Attendee Application. 3 – Use the appropriate link from the registration confirmation e-mail you will receive to submit your Ringing Assignment Preferences or use of these options: Sub Bass Positions (below C4) OR Positions 1 through 11 (C4-C8.) The closing date for the first placement group is June 1, 2015. 4 – Contact two references that have observed you ringing within the past year and ask them to complete the on-line First-time Attendee Recommendation. YOU ARE THE ONLY PERSON RESPONSIBLE FOR ENSURING THAT YOUR TWO RECOMMENDATIONS ARE RECEIVED. You will not be contacted if your recommendations are not received in a timely manner. Each registrant is required to complete ALL the forms listed under their registration status. No registration will be considered and no assignments will be given until all required forms are received. *Almuni Re-Apply status applies to those who were placed in Category C after the last event they attended or who have not attended a Distinctly Bronze event in the past 24 months. You will receive a follow-up e-mail from the event chair once ALL APPLICATION MATERIALS have been received and your application has been reviewed and accepted. THIS IS YOUR CONFIRMATION. If you DO NOT receive this confirmation, it is your responsibility to follow up with the National Office to make sure your application has been received. June 15, 2015– Final payment is due to the national office. June 30, 2015– Ringing assignments will be sent to all accepted registrants that have paid in full. All items can be completed on-line by following the above links. Hard copy printed versions of all forms will be available through the national office by contacting Vickie Iverson, Event Registrar. PLEASE NOTE – NO APPLICATIONS WILL BE CONSIDERED UNTIL ALL REQUIRED FORMS AND DEPOSIT ARE RECEIVED BY THE NATIONAL OFFICE. This policy applies to refunds for ANY reason, including medical, family and business. This policy applies even if we fill your slot with another ringer. If you desire, you can receive a copy of the DBW2015 recording at no charge if you cancel. • An individual on the wait list is not offered a slot, or declines a slot offered after 9/1/2015. Fee refunds minus the $100 deposit will be made for written or email cancellations received by 7/31/2015. Cancellations received by 9/1/2015 will be refunded 50% of registration fee less deposit; after 9/1/2015 registration is not refundable. The date of cancellation will be the date the cancellation is RECEIVED in the national office by the event registrar, Vickie Iverson. William H. Griffin Scholarship Fund offers one scholarship to the 2015 West event. The scholarship provides full registration and up to $700 for travel & lodging expenses. The application is available here and must be submitted by June 1, 2015. Both alumni and first timers may apply. First time attendees must be accepted through the procedure here before being eligible for the scholarship. You are responsible for purchasing and rehearsing the music. Repertoire notes regarding problem solving, corrections and other items may be sent at various times before the event. Music may be purchased directly from publishers of from any music retailer. Our HIC retailers include: Bell Buggy Express, Handbell Services, Heitz Handbells & Music, Jeffers Handbell Supply, and J.W. Pepper. Equipment load-in and setup as soon as venue is available. If you are in New Bern early and are available to assist, please come by the convention center. 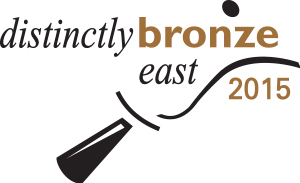 There will be no official hotel for Distinctly Bronze East this year. However, there are several hotel and bed and breakfast options in the area. A complete list of lodging options can be found at the Visit New Bern website. Yes, can attend one DB event within the next 24 months (4 events total) – no reapplication required. If don’t attend within that period, will be required to reapply. Yes, can attend one DB event within the next 24 months (4 events total) – no reapplication required. If don’t attend within that period, will be required to reapply. Expected to show improvement in specific areas at next event. Specific areas in which development and/or instruction are needed will be cited. No, must reapply and may be asked to provide a video and/or evidence of significant skills building experiences such as lessons, workshops. Specific areas in which development and/or instruction are needed will be cited. Ringing positions and floor layout will be posted here when they are available. They will also be distributed via the Distinctly Bronze East 2015 Google Group. All accepted attendees will receive an invitation to join this e-mail group at the EMAIL ADDRESS LISTED ON YOUR REGISTRATION. Various notes and problem solvers for the ringers will be distributed to the Distinctly Bronze West Google Group as they are available. Due to the success of the silent auction for the past several years, we will again hold a silent auction during Distinctly Bronze. Attendees will have the option to choose where their contributions are targeted. The auction has been so successful that both of these funds have a solid base to sustain them for many years into the future. Think about a unique item that you might like to have yourself – bell-related or not – and bring it along to contribute to the auction. Bidding will be held between Thursday evening and Saturday evening. Those who are the successful high bidders on any item can pay for the items by check, cash or credit card. This is always a fun activity with occasionally some spirited bidding wars – so get involved. We will also have drawings again before rehearsals for a limited number of door prizes so if you have any trinkets, CD’s, bags of candy, etc. (again, something you would like to have yourself, but of lesser value than the silent auction items) to donate to the door prizes, please bring them along. All items can be brought in on Thursday morning when you check in at the Grand Ballroom in the hotel. • Checkbook, credit card or cash to pay for any Silent Auction items you win! The dress code for rehearsals is casual and comfortable. Several layers are always a good idea so you have some options. Comfortable shoes are essential for long rehearsals. Rain is always a possibility! If you have attended DB in the past, please wear the polo shirt from the first DB you attended on Saturday, 10/10. If you are a first time attendee at this event, please wear your favorite handbell shirt on Saturday. If you’re arriving on Wed before 5:00 PM, we can use your assistance with the event set-up. Please stop by the New Bern Convention Center to help. Think of it as a warm-up for all the rehearsals to come! Onsite registration will begin on Thursday, October 8, at 10:00 AM in the convention center and will continue until 2:00 PM. Donations for the Silent Auction and door prizes may be brought to the convention center at this time. Welcome and opening announcements will begin at 2:00 pm on Thursday. You should be in your seat at your ringing position then. The first rehearsal will begin as soon as announcements and welcomes are complete. If you are arriving on Thursday close to the event starting time, please come directly to the convention center with your luggage. You will have an opportunity to check into the hotel at 5:00 pm. Please do not delay coming to the opening in order to check into your room. Will I need a car? Probably not. There are numerous lodging and dining options within easy walking distance to the convention center. Concert dress will be your 2015 Distinctly Bronze East Polo Shirt and appropriate black skirt or slacks. Shorts or cropped pants are not acceptable. Black gloves will be used for the concert. Your registration includes Thursday dinner and Sunday lunch. You have many options for other meals – there are many restaurants within walking distance of the hotel.